GRAPELAND – Last week, it was reported two people – Jody Lee Baker, 44, and Mary Karin Low, 32 – were both arrested after a traffic stop yielded over a pound of methamphetamine in the vehicle they were traveling. At the time, a third person traveling with Baker and Low was released at the scene because of a medical condition. 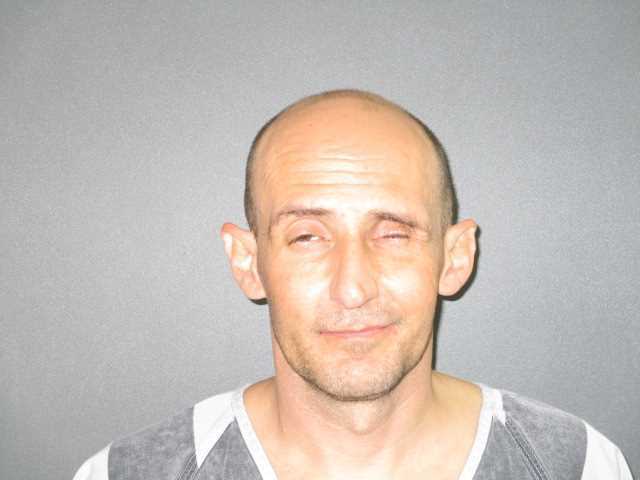 The same third person – James Watson,40, from Grapeland – was taken into custody on Friday, Sept. 21 and charged with possession of a controlled substance, penalty group one and possession of a controlled substance, penalty group three. According to a press release received from the Houston County Sheriff’s Office (HCSO), Watson, Baker and Low were stopped in Grapeland by HCSO Deputy Matthew VanEgmond at approximately 6 p.m. on Monday, Sept. 17 for a traffic violation. Once the stop was initiated, Deputy VanEgmond attempted to make contact with the driver of the vehicle. Baker – the driver – fled on foot. “A chase ensued and Deputy VanEgmond apprehended Baker and placed him under arrest for evading arrest,” the media statement reported. The deputy returned to his patrol vehicle and placed Baker in the back seat. VanEgmond next returned to the vehicle he had stopped and made contact with the two passengers, an affidavit of probable cause stated. The two passengers were identified as Mary Katrin Low and James Watson. Lt. Ronnie Howell with the Grapeland Police Department assisted in the arrest and placed Low in the backseat of his patrol unit, while Watson was requested to exit the vehicle. VanEgmond returned to the vehicle to initiate a search but discovered the Ford F-150 was locked. The key to the vehicle was eventually found by Howell and the search was started. The substance was field tested and the results indicated a positive result for meth which weighed in at a total weight of 463 grams. Once Baker had been apprehended, Low was questioned and it was learned she had a warrant for her arrest for making a false report to a peace officer. She was also charged with possession of controlled substance, penalty group one, in an amount equal to or greater than 400 grams. Baker was charged with possession of controlled substance, penalty group one, in an amount equal to or greater than 400 grams, evading arrest and possession of a controlled substance, penalty group three in an amount less than 28 grams. Watson was charged with possession of controlled substance, penalty group one, in an amount equal to or greater than 400 grams and possession of a controlled substance, penalty group three in an amount less than 28 grams. Because of the amount of weight involved in the drug bust, the possession of a controlled substance penalty group one charge is considered as a first degree felony. The total bond for Low was set at $36,500 while bond for Baker has been set at $45,000. Watson was released on self-recognizance because of a medical condition.